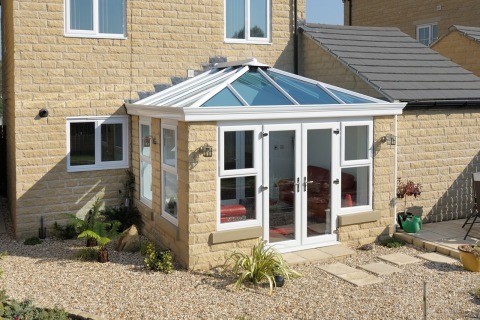 With our limitless conservatory design options we can help you create a new room you've always dreamed of. Whatever style of home you live in we can design a conservatory that’s completely individual in terms of shape, finish and even in the finest materials we use. As home improvement experts that have worked the length and breadth of the UK, we have a compete understanding of all things conservatory and are just one of a small handful of companies that carry the coveted BBA accreditation for design and manufacture. 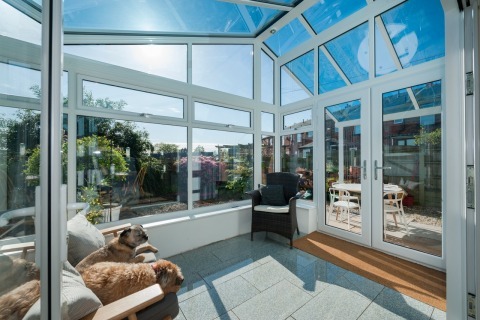 Specialist high performance roof glass has radically transformed the conservatory market. It looks beautiful, helps keep rooms cool in summer and warm in winter and can carry an easy-clean coating. One of the biggest developments in the conservatory sector in the last few years has been in glass. For many years polycarbonate sheeting was used to glaze a conservatory roof and it soon deteriorated, was noisy during rainfall and above all was highly energy inefficient. Contrast that today to the high performance specialist roof glass that has been designed by some of Europe’s largest glass processors. Once again we are all back in love with the conservatory. Once conservatories were just white, but we can now offer a wide range of lifelike woodgrains such as Irish Oak and beautiful colours such as Chartwell Green. We’ve been manufacturing conservatories with colour foils for over 10 years now and in recent years have added a number of options with all accessories produced in a perfect and uniform matching finish. Residence 9 is our premium window and door system that offers period detailing, exclusive foil finishes and a striking flush finish. At present we are the only company in the UK capable of manufacturing a complete R9 conservatory. If you don’t want one of our existing foiled finishes then we can offer a bespoke colour matching service and create something truly individual using our in-house paint facility, with technology from the automotive industries. Choose a conservatory from A New Room and you can be re-assured that you are dealing with expert professionals from design, survey and though to installation. There are a number of design features that you can add to your home from the decorative Loggia products in terms of insulated columns and internal pelmet, to the latest and stylish bi-folding doors.